Are you experiencing a constant, nagging neck or back pain that just won’t seem to go away? Seeing a chiropractor may be the solution you need to find pain relief. 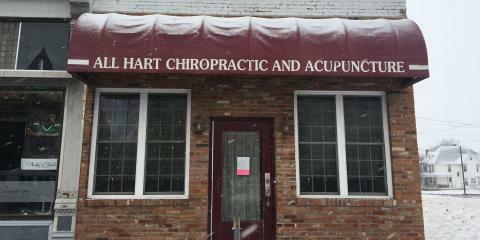 Located in Carrollton, IL, All Hart Chiropractic offers expert care at affordable prices. Don’t settle for living with aches and pain, and visit All Hart Chiropractic for the pain relief you deserve. Call them at (217) 942-9069 today to schedule an appointment.